Florence Italy is famous for its art and culture, but not all of this can be found in museums, galleries and palaces. Some of it you will experience in the many restaurants you will find in Florence. The benefits of a guided tour in Florence don’t stop after paintings and sculptures, because your tour in Florence will probably make you hungry and your tour guide will gladly tell you about the restaurants he or she prefers and what dishes to choose. The Florentine recipes are so many, some dishes clearly have old roots in the region, others are influenced by French and other European cuisine. 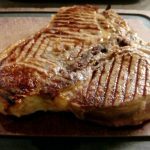 One example of a typical Florentine recipe is the Bistecca alla Fiorentina, the Florentine T-bone steak. 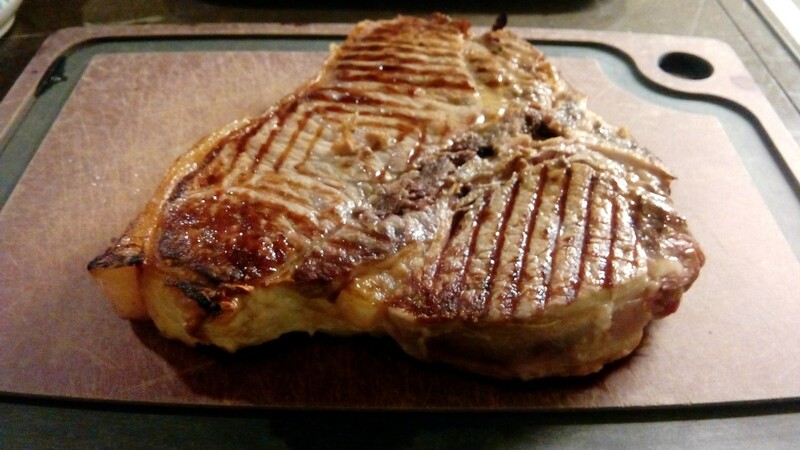 Bistecca alla fiorentina is a beef T-bone steak that is grilled for a short period, leaving it very rare. The history of Bistecca alla Fiorentina is as old as the city of Florence itself. The Florentine steak was part of the celebration of San Lorenzo on August 10th, which was organized by the Medici family. Large bonfires for the celebration where used to cook the large pieces of steak which then were handed to the people of Florence. During that time Florence was the center of the world and people from all over the globe were present at this celebration; some English knights recognized the meat and called it beef steak which then got translated into Bistecca, a name that is still used today. The slice of meat, which must have a weight of at least one kilogram and a height of 5-6 centimeter (between 2 and 3 inches), must have matured for at least two weeks in a cold enclosed space, then it must have reached room temperature before cooking. The grill must be heated using charcoal, not in another way. Grill the meat for one minute on both sides as close to the hot charcoal (no flames!) as possible for it to get a crust that encloses the juices inside. Then move the meat away from the charcoal and let it heat up for 3 to 5 minutes per side. Only turn the meat once for each side and don’t use a fork because it will puncture the crust. Then when the large surfaces are cooked the steak is turned to stand on the bone itself where it will also be cooked. When all sides are done and no traces of blood are visible the steak is ready to be eaten. No lemon may be used on the steak; a salad is often served on the side. The taste of the meat really comes out when combined with a glass of local Chianti wine.